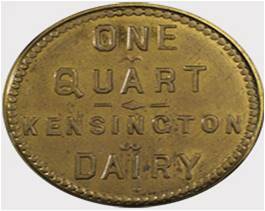 The Kensington Dairy operated from 1892 until its merger with City Dairy in 1901. 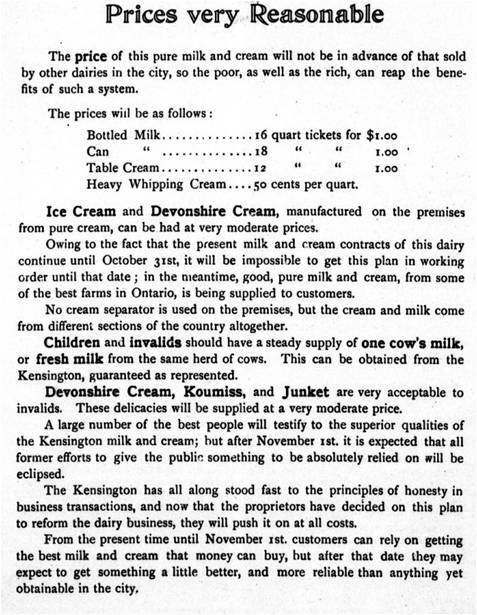 W.J.Palmer would become the first production manager for City Dairy. 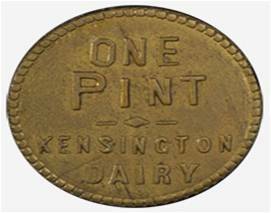 Kensington Dairy was one of the first dairies to appoint veterinary herd inspectors to maintain its milk's quality. In 1896, the plant equipment was updated to follow a Co​penhagan method of production. H Dean of the O.A.C. was one of the first to praise the operation for its scientific approach that would become a template for the future City Dairy. 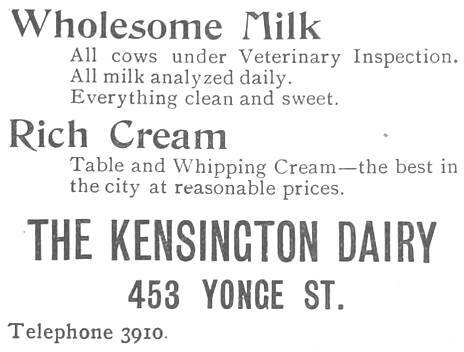 In 1901, Kensington advertised that there was no need to clarify the milk to remove impurities due to the sanitary process the dairy employed in the handling of its product through all stages from obtaining milk at supplying farms to customer delivery. 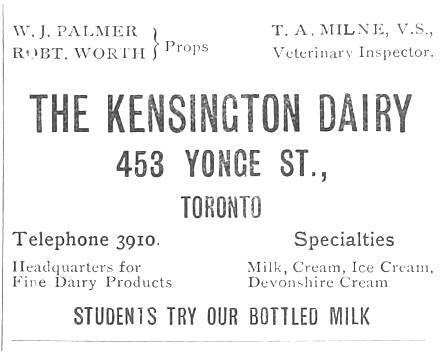 After the merger with​ City Dairy, the 453 1/2 Yonge address was maintained as a branch depot with ice cream bar.